INBOTS brings together experts from different disciplines to establish a working synergy between all the relevant stakeholders in Interactive Robotics and to promote Interactive robotics understanding and acceptance. The Spanish National Research Council (Consejo Superior de Investigaciones Científicas, CSIC) is the largest public research institution in Spain. CSIC is a worldwide reference in developing and exploiting Interactive robotics technology. 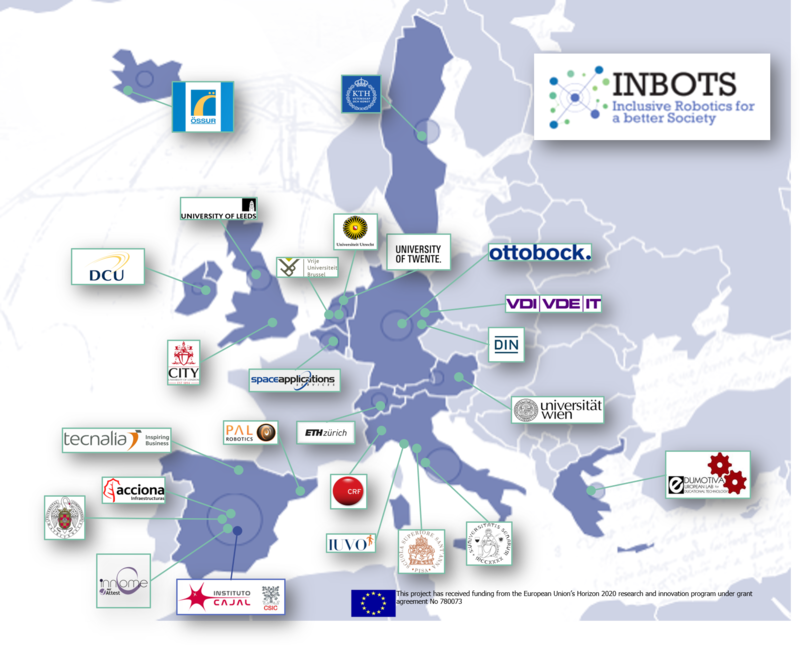 CSIC will be represented in INBOTS by two research centres: Cajal Institute and the Institute of Philosophy. They will be in charge of the coordination of the project and will use their extensive expertise in education and training in IRs to coordinate activities in WP6. CSIC will also contribute to the identification of non-technical barriers and to the definition of standards and of a regulatory framework for IRs. TECNALIA is a leading entity in transferring research into products. It is the coordinator of the BALANCE Project and COST action on wearable robotics. As member of the IISART standards working group, they will be involved in standardisations tasks developed in WP4. They will also coordinate the identification of exploitation strategies best practices. SSSA is a public university whose mission is to provide excellence education at graduate, doctoral and post-doctoral level, and to perform excellence research, in the sectors of engineering, medicine, agriculture, economics, law and political science. The DIRPOLIS Institute carries out innovative research in the fields of law, economics and political sciences. SSSA will participate in the fields of law, economics and political sciences focused on IRs applications. They will be leading WP5 and will collaborate in WP2. UCM is one of the largest universities in Spain and all around Europe. With a tradition beyond 5 centuries, UCM has become a very important institution in terms of higher education and research activities. UCM will participate in the identification of non-technical barriers and will collaborate in the definition of a regulatory framework for IR. They will be leading WP2. The UT Biomechanical Engineering group (BME) is specialized in the application area of Biomedical Technology. BME is part of MIRA, UT’s research centre for Biomedical Technology and Technical Medicine. Current work in the BME group is focused on the development, control and evaluations of rehabilitation robotics that are now clinically applied for the treatment of subjects with neurological disorders, among which are stroke survivors, Parkinson Disease patient, and Spinal Cord Injured patients. 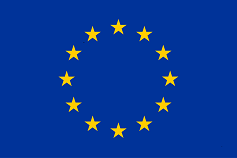 UT will participate in the establishment of links with European and international training/exchange Programs in WP3. 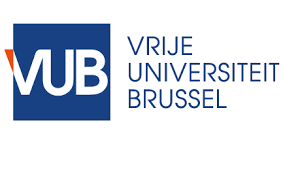 The Robotics & Multibody Mechanics research group (R&MM) of the Department for Mechanical Engineering of the VUB focuses on the creation of new compliant actuators and their implementation in robotic applications for improved energy efficiency, safety and interaction. ETH Zurich symbolizes excellent education, groundbreaking basic research and applied results that are beneficial for society as a whole. Nowadays, it offers researchers an inspiring environment and students a comprehensive education as one of the leading international universities for technology and the natural sciences. ETH and R. Riener are the inventors and organizers of the Cybathlon http://www.cybathlon.com and will participate in WP6 promoting synergies with competitions and other international events. The Dipartimento di Ingegneria dell’Informazione e Scienze Matematiche at UNISI consists of about 80 scientists, whose research and education activities cover the fields ranging from engineering to mathematics and computer sciences. Within INBOTS, the Department is represented by the Human Centered Robotics Group, and in particular by Prof. Monica Malvezzi. The Human Centered Robotics Group is active in robotics and haptics and, in particular, in robotic grasping and haptic rendering for multi-point contact interaction. UNISI will use their extensive expertise in education and academic life in WP3, as well as contributing to the dissemination activities planned in WP6. OSSUR is a leading company in prosthetics development and commercialization, with pluri-annual experience in exploiting research results from EU projects. Ossur will ensure a comprehensive industrial expertise in the medical domain. They will contribute to market analysis and to the definition of standards. They will also collaborate in the identification of non-technical barriers. OBG is a leading company in the medical technology sector with the focus on innovative products for people with limited mobility. They will ensure a comprehensive industrial expertise in the medical domain. They will contribute to market analysis and to the definition of standards. They will also collaborate in the identification of non-technical barriers. Centro Ricerche Fiat, founded in 1978, has the mission to develop and transfer innovative products, processes and methodologies in order to improve the competitiveness of the products of the Fiat Group. CRF participates with a leading role in the European “Green Car Initiative” and “Factories of the Future”. Within this context, CRF is also involved in several key European Technology Platforms including: ERTRAC (road transport), EPOSS (smart systems), EUMAT (materials), MANUFU-TURE (manufacturing). CRF will ensure a comprehensive industrial expertise in the manufacturing domain. They will contribute to market analysis and to the definition of standards. CRF will develop specific aspects related to safety and performance for IRs in the industrial regulatory domain and will also collaborate in the identification of non-technical barriers. They will contribute to the definition of potential applications in the construction and civil engineering sector. Mainly, Acciona will identify potential uses of interactive robots during the operatives performed by workers at workshops and construction sites and will evaluate possible business models for implementing the technology in a real environment. SA is an independent Belgian company aimed to research and develop innovative systems, solutions and products and provide technology development, operation and training services to the aerospace and security markets and related industries. The company provides system engineering services for the development of technology and robotics for use in space, and in other Earth applications including medical ones. They will contribute to the definition of potential space and non-space applications. They will also contribute to market analysis and to the definition of standards. IUVO is a spin-off company of The BioRobotics Institute, Scuola Superiore Sant’Anna (SSSA) producing exoskeletal robots. They will be leading WP1, contributing to market analysis and providing their expertise to entrepreneurs and SMEs. 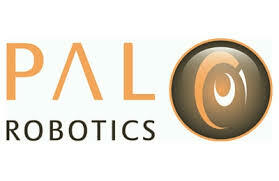 PAL-Robotics is a leading company producing humanoid robots in Europe and is currently involved in various EU Projects. They will collaborate WP1 and WP3, participating in market analysis and contributing to the development of standards for IRs in consumer and service regulatory domain. The Royal Institute of Technology, KTH, is responsible for one third of Sweden’s capacity for technical research and is the country’s largest organizer of technical/engineering education at university level. Until now, KTH has been involved in about 40 EU-projects on robotics. They will be leading WP6, contributing to identify needs and gaps related to the current level of understanding of robotics by public and defining a common strategy to increase public awareness about interactive robotics. 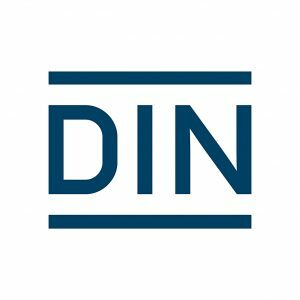 The German Institute for Standardization (DIN) is a non-profit organization recognized as the National Standardization body (NSB) representing Germany in international and European standardization activities. DIN supports R&D projects with the concept of R&D phase standardization and they lead the standardization activities in INBOTS. VDI/VDE Innovation + Technik GmbH is an organisation set-up by two of the largest European professional associations for engineers: the Association of German Engineers (VDI) and the Association for Electrical, Electronic and Information Technologies (VDE). The company’s primary objective is to promote R&D, particularly in the area of information technologies, by developing instruments and initiatives for accelerating technological development and industrialisation. They will collaborate in the identification of non-technical barriers, participating in the tasks to support SMEs and entrepreneurs and collaborating in training programs. 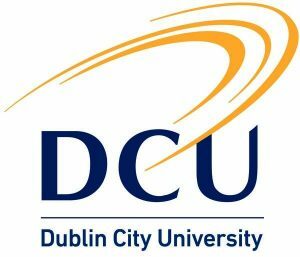 The DCU Institute of Ethics was established in September 2008 with the mission to create ethical awareness in relation to all fields of the university´s activities and to play a leading role in raising public awareness of, and stimulating debate about, ethical issues. They will collaborate in the identification of ELSE issues related to robotics uptake. The University of Leeds is one of the top ten universities for research and teaching in the United Kingdom and is internationally acknowledged as a centre of excellence in a wide range of academic and professional disciplines. Strengths of robotics at Leeds include the National Facility for Innovative Robotic Systems, as well as centres for infrastructure robotics, cognitive robotics, autonomous transport and medical robotics. Leeds has one of the very few centres for applied ethics in the UK (the IDEA-CETL). They will participate in WP2, leading the tasks that deal with human acceptance of IRs. The research group of the Chair Philosophy of Media and Technology of the University of Vienna focuses on philosophical questions related to technologies and media. Bringing to bear philosophical approaches and arguments on new developments in technology, e.g. in robotics, artificial intelligence, and related fields, the group aims to make contributions to philosophy in a way that is relevant to society and its future in a global context. They will participate in WP2, supporting the tasks that deal with human acceptance and ethical aspects of IRs. The Faculty of Law, Economics and Governance of Utrecht University is a joint collaboration between three scientific disciplines: the School of Law, the School of Economics, and the School of Governance. The School of Economics has created a distinct profile for itself as a recognized centre of expertise for multidisciplinary economics research and teaching, including the explicit integration of policy concerns. They will participate in WP2, supporting the tasks about financial and tax law, labour and social security law. City, University of London is a world-class research hub in the heart of London. The City Law School has extensive research expertise in the area of Intellectual Property Law, featuring academics such as Dr Luke McDonagh and Dr Enrico Bonadio, who have conducted research projects on behalf of, and advised, the UK government on IP policy. They will participate in WP1 and WP2, leading those tasks related with IPR management and IP law. The European Lab for Educational Technology – EDUMOTIVA brings together professionals active in the area of Educational Sciences and Learning Technologies. Key activities include: educational research, instructional design, evaluation of learning interventions, education and training with a special focus on educational robotics. In WP3, they will lead the tasks related to the creation of a sustainable framework to promote education in robotics and with robotic, from pre-school to university. INNCOME is a consulting SME specialized in the management of competitive research and innovation projects. It will be leading WP7, providing its expertise in project and tasks coordination, given the experience in consulting (technical, organizational, or economic) for previous.